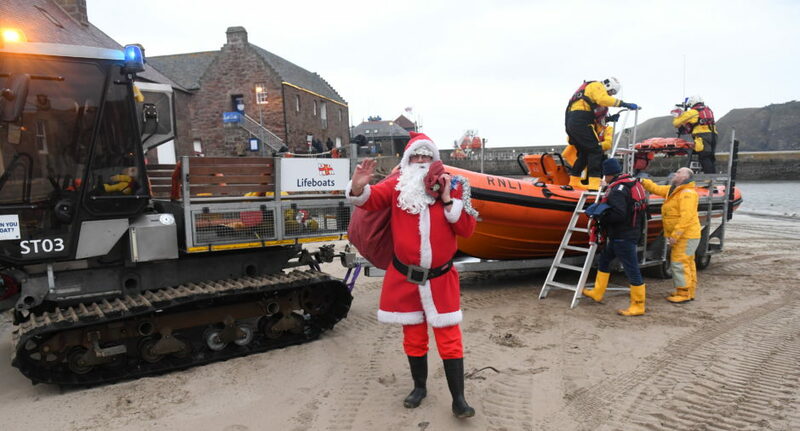 Father Christmas arrived at Stonehaven with help from the RNLI. 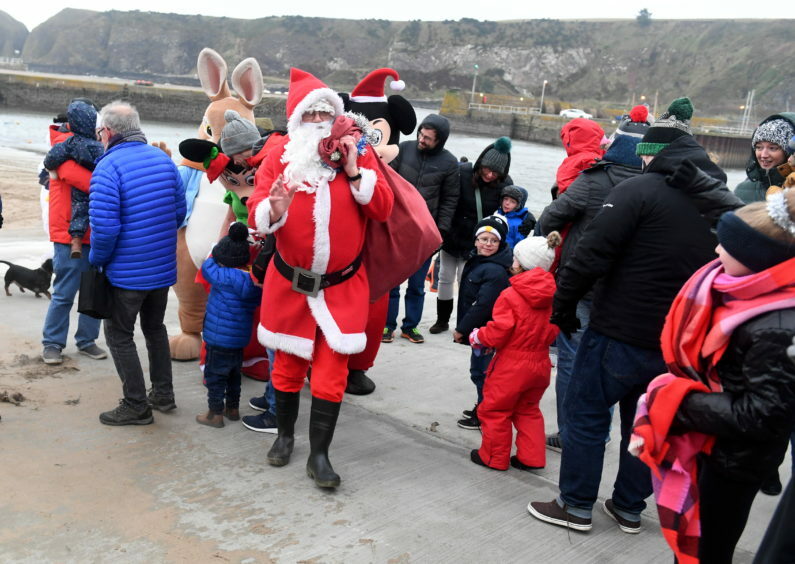 Father Christmas braved the stormy weather at the weekend as he made a cruised into Stonehaven for an annual fundraiser. 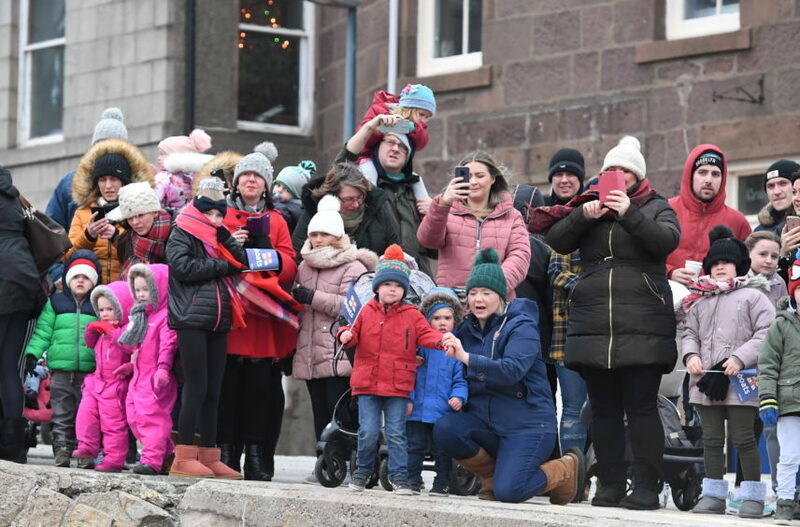 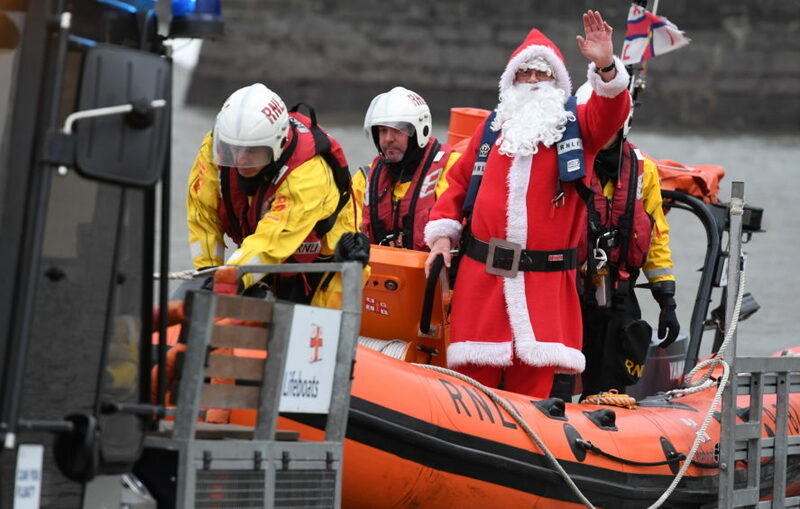 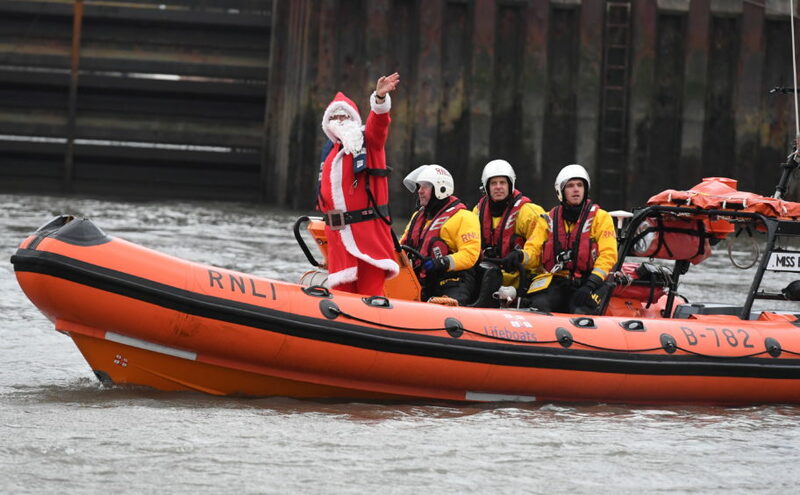 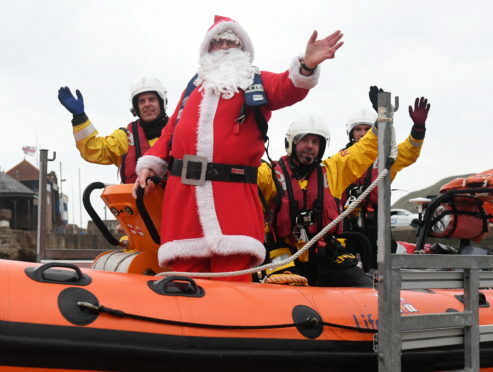 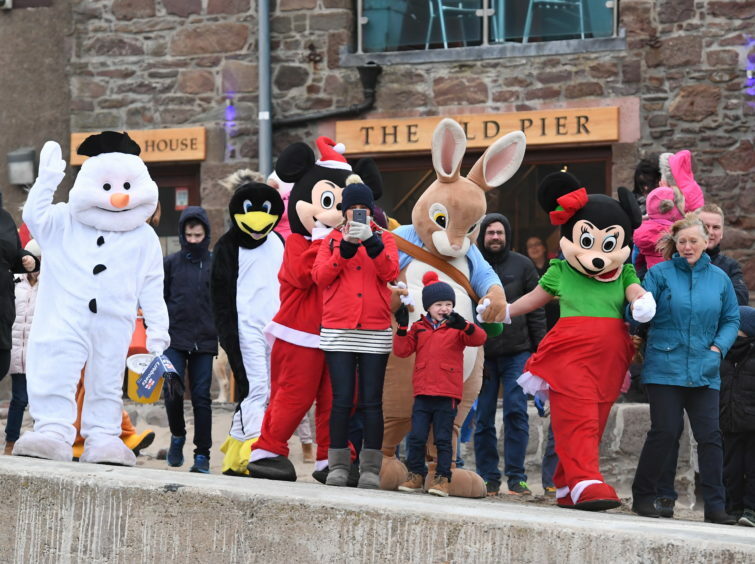 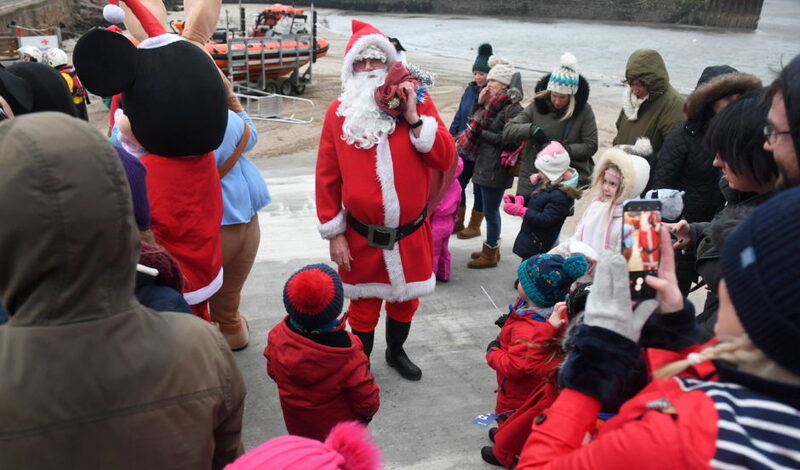 Ditching his sleigh for the one of the town’s RNLI lifeboats, Santa arrived at the harbour on Saturday afternoon to meet scores of excited youngsters. 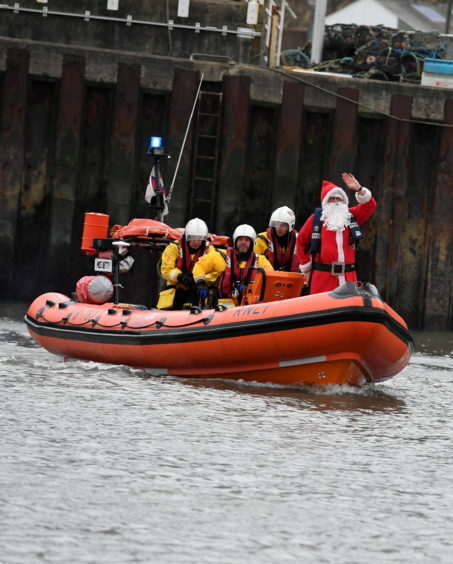 The crowds were also treated to drinks and mince pies with the profits going to the lifeboat team. 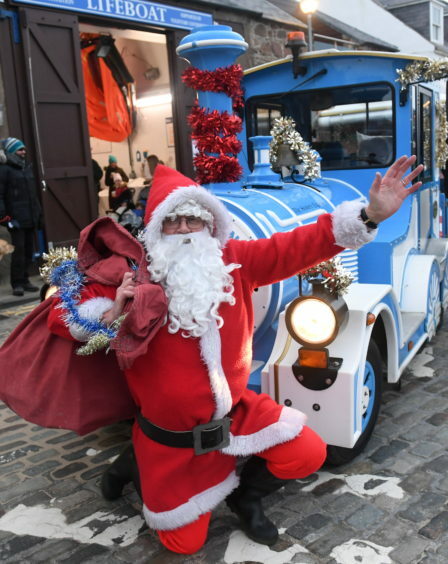 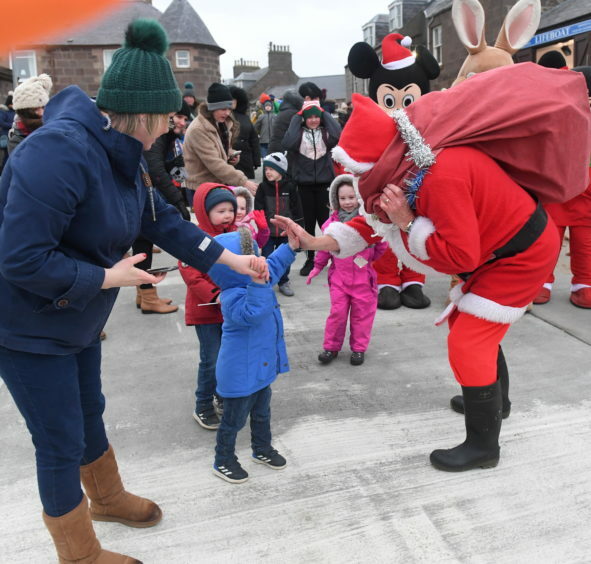 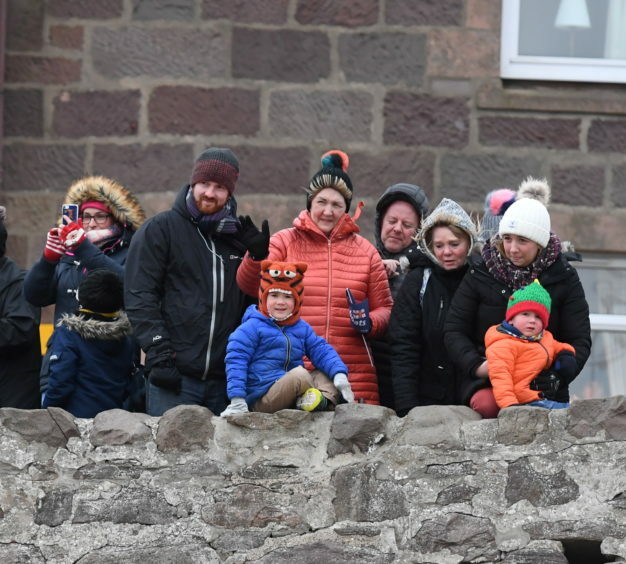 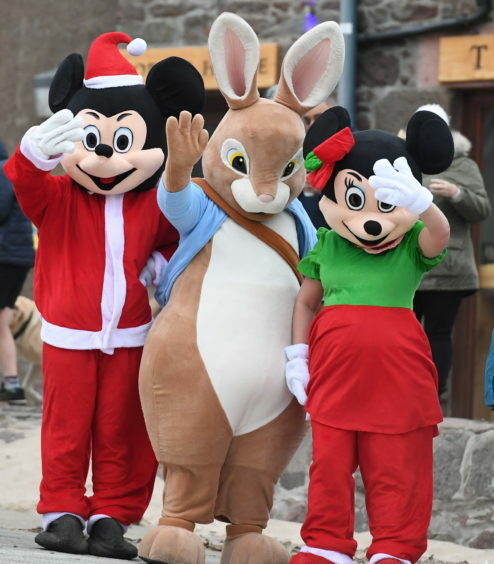 From the harbour, Santa hopped onboard the Stonehaven land train into town and made his stop at Charles Michies on Market Square to greet children at his pop-up grotto.